We promise you, you will love this necklace! 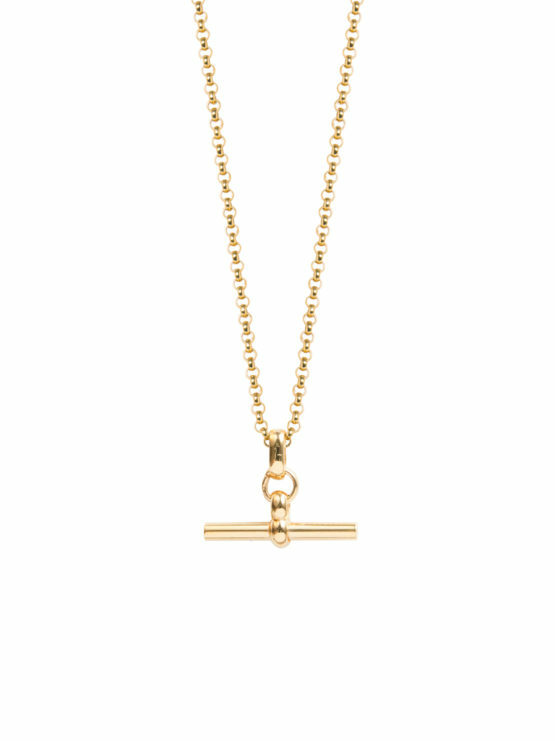 The balance of the T-Bar and the fine belcher chain is a match made in heaven! We have modernised old school and given it an urban twist. It looks fab worn alone or layered with other pieces. Either small more dainty shorter necklaces or something longer and heavier. Both the T-Bar (measuring 2.5cm in width and 2cm in length) and sterling silver chain have been gold plated in 23.5 K. We have a years guarantee on all our gold plated items so you don’t need to worry about any plating issues, we do recommend not to spray perfume directly onto the product and to avoid swimming and showering where at all possible.